I am not currently a full time vegan but tend to make lots of vegan recipes. 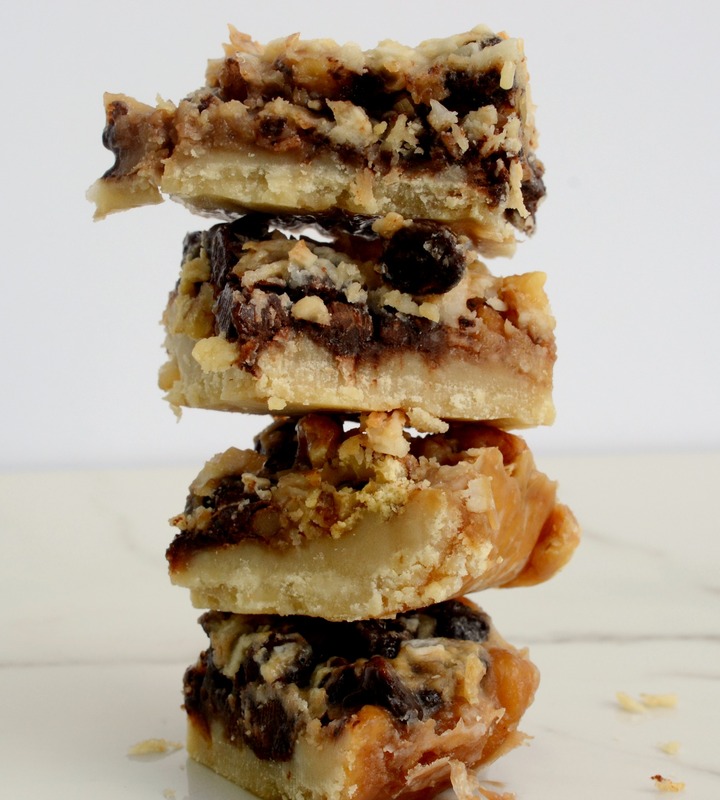 I like every recipe that I test and put on this site but these five layer cookie bars, I LOVE. I have been so excited to share this recipe with you because these are AMAZING. I mean, just look at how decadent they are! A cookie crust on the bottom, topped with pecans, coconut, chocolate chips and an ooey gooey vegan caramel. 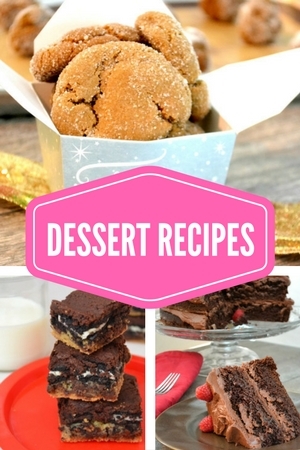 I highly recommend making these today, make them for your dessert table, make them for your next potluck. I really think any kind of eater will find these too good to be true. For the cookie base, I used regular all purpose flour but if you were gluten free or paleo, you could use coconut or almond flour. I feel so strongly about these cookie bars that I have been recipe testing a few variations that you will see here soon. It almost seems as if once you have the base down—you can’t mess them up! 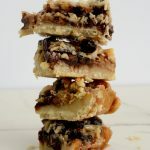 A few notes about these bars……1) make sure to use full fat coconut milk, not low fat; 2) be sure to simmer the caramel down for at least 20 minutes; 3) do not try to eat or cut these until they have been in the fridge for at least six hours. They need that time to cool and set. I hope you enjoy them and share them with your friends! 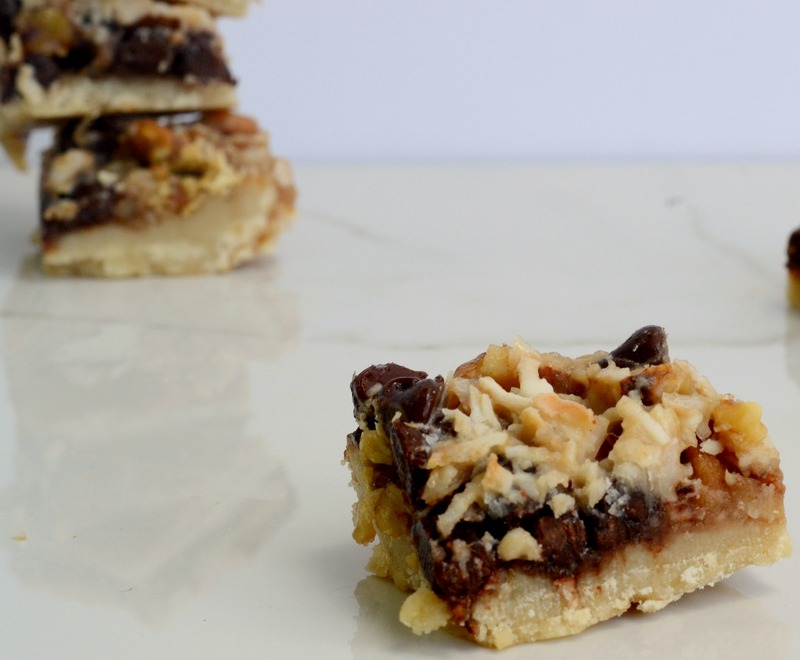 You won’t believe these five layer bars are vegan! They are so decadent and amazing. I can’t stop talking about them…..try them as soon as possible! Preheat oven to 350 degrees and line an 8×8 pan with parchment paper. In a bowl, mix together the flour, 1/4 cup of the maple syrup, coconut oil and salt. Bake for 8-10 minutes. You might need to press it down slightly when it comes out of the oven. While the cookie crust cools, put the coconut milk and maple syrup in a saucepan and bring the mixture to a boil for one minute. Reduce to a simmer. You will need to stir constantly and simmer for about 20 minutes, until the sauce begins to thicken and is reduced to about 1 cup. THIS TAKES A WHILE. Once you have the caramel, pour about 1/2 cup on top of the cookie crust. 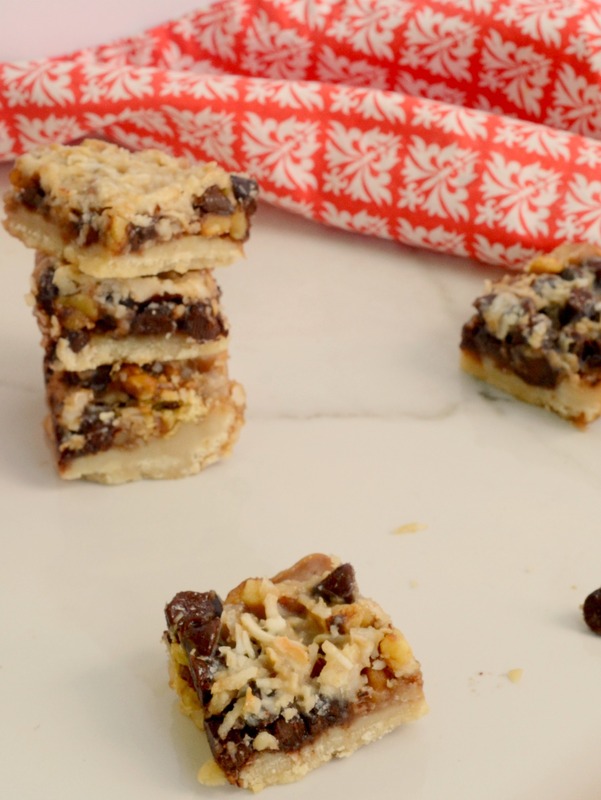 Top with the walnuts, chocolate chips and coconut. Top with the rest of the caramel. Let cool to room temperature and then refrigerate for at least six hours. Recipe was inspired by Food, Faith and Fitness.